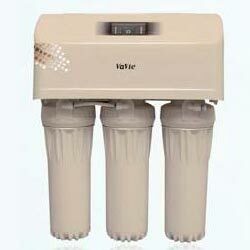 Reverse Osmosis Water Purifier (WA75Z-75B) is a revolutionary Water Treatment Solution. It is based on advanced technology and packed with features that make it powerful to efficiently remove impurities as small as 0.0001 μm. Its water outlet capacity is 75 gallons a day which suffices the requirements in most of the domestic and commercial set ups.